Nobody wants to spend their money on traffic fines. Check out these 10 hacks that will get you out a speeding ticket or help you contest it in court. Somewhere around 112,000 people got speeding tickets today and every day in the U.S. That’s $6,232,000,000 (yes, billion) added to the county coffers all over the country each year. It works out to about $152 each person, each time. It’s annoying to pay the fine, but add up your time wasted and the hit to your insurance and it becomes really expensive! But at least it isn’t Finland, where one speeding ticket cost a driver a whopping $103,000! Getting stopped by an officer a time or two over a lifetime of driving is an expected experience. Getting out of paying traffic fines is an art. Check out these 10 hacks to avoid tickets. Scroll to learn more. First, don’t break the law. Wear your seatbelts. Do everything in your power to not call attention to you or your vehicle. If your car has a really loud exhaust system or burnt-out brake light, do yourself a favor and fix those things before hitting the open road. You see the flashing lights. Slow down and carefully pull off the right. If it is dark and there is a well-lit exit ahead, pull off there. Keep both hands on the wheel while the officer is approaching. Use the Sunday School manners you learned in kindergarten. Please and Thank You, Sir or Ma’am, might just get you off with a warning instead of a ticket. Don’t break out the hysterics. Crying never works. Neither do threats, protests or arguing. In fact, you could make it worse. The “Do You Know Who I Am?” game doesn’t generally impress the officer either. This does not mean confessing your sins. If the nice officer asks “do you know why I pulled you over”, you shouldn’t give more than a very polite and noncommittal “I don’t know”. Let the officer tell you what the problem is. Once you know, if it is true, own up it like an adult. Perhaps you weren’t stopped for running that red light – it’s because you have a missing headlight. A fine response is a thank you and a promise to fix it right away. Again, you avoid the traffic fines. No whining about the unfairness of it all. No sarcasm either. Throw yourself at the mercy of the officer as much as your dignity will allow. The officer still has the power to issue a warning instead of a ticket. If the officer writes the ticket, you can still avoid penalties if you can get the charges dismissed. So if it is a radar gun, find out about the make and model, its last calibration, etc. Many jurisdictions require the officer to record such information, so learn more about the system if you can. Get the camera information if it was a red light or traffic camera. If the flash is miscalibrated or faulty, you get out of the trap. If the stop sign you rolled through is obscured, get a photo of it. If there is a good reason you violated the law or the officer was mistaken, you could get out of paying the traffic fines. Perhaps you sped up to avoid a hazard in the road or to get around an aggressive driver. Make sure you note that when the officer is writing and in your own notes. Get video if you can. 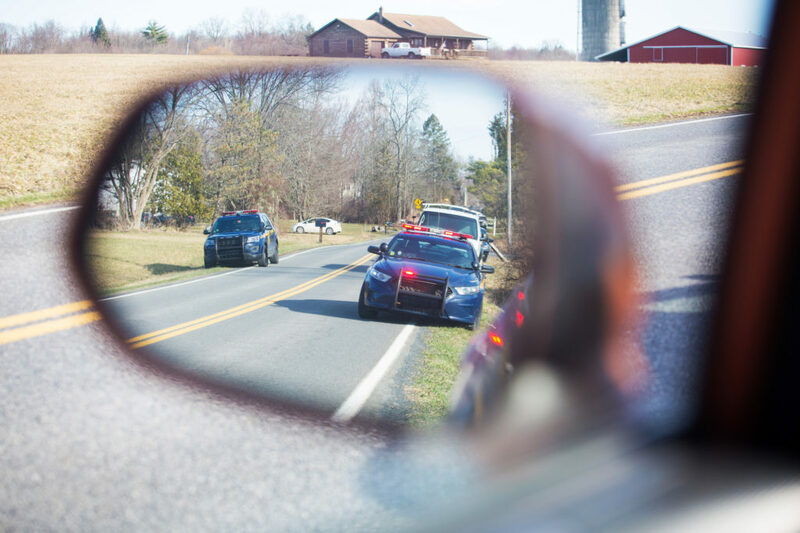 There are only four basic reasons tickets get dismissed after the officer writes them: wrong factual information, defective equipment, defensive driving or officer fails to show up to court. You need to prepare your case for all possibilities. Wrong information includes transposed license numbers, wrong middle names, wrong color vehicle, etc. If any of this happens on your ticket, make sure to note it! Ask for the officer’s business card. Politely, professionally and civilly telephone during business hours to discuss your case. Then try to give the officer all the reasons in the world to dismiss the charges. Make an appointment to discuss your ticket if you can. Give the officer all the information you gathered. If the officer won’t or can’t relieve you of the ticket it is time for the next step. If you want to avoid paying the fine, you are going to have to get the ticket dismissed. Start by getting a court date. The officer will need to be there. Sometimes they won’t be able to make it. Voila! Dismissed. Change the date once or twice and you increase the chances the officer won’t be able to make it. Change the venue to a different courthouse (like the farthest one in the same county) to increase the chances your officer won’t show. Have all of your well-organized material about your case ready to go. Remember your four reasons. If the officer shows up, you need to be ready to go with evidence to refute your ticket. Getting a ticket is zero fun. Getting out of traffic fines takes some effort and patience to navigate. Remain professional, polite and nice. It may encourage the officer to issue a warning rather than a ticket. If that doesn’t work and you need to go to court, gather information. There are several good reasons the officer mistook your action for a violation. Use that evidence to get charges dismissed. If that is not feasible, make sure you make it to court and the officer is forced to try to attend. Change venue or date at least once to increase your chances. If the officer makes it to court, be ready with evidence to support dismissal. Hopefully, these tips will help you avoid fines and stay on the road. To learn more helpful life hints, keep reading.